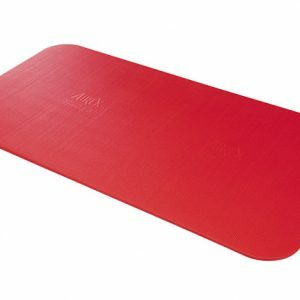 Thera-Band® Professional Exercise Mats TheraBand® Exercise Mats are engineered with a new and improved material to provide maximum cushioned support for comfortable floor exercises and to help protect against injury. 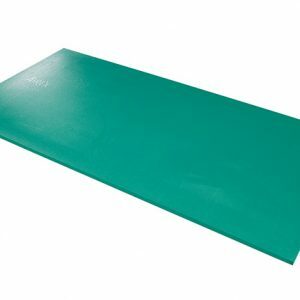 Made of high-density polyethylene, a lightweight non-PVC material, the mats’ fabric-like surface is waterproof, wear resistant and designed for repetitive use in by physical therapists and in fitness clubs.Easy to care for, they are washable with soap and water. They also include pre-drilled hanging holes and two elastic straps for easy storage options. 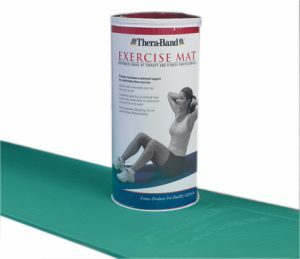 Thera-Band® Exercise Mats come in 3 varieties, all 75″ long. 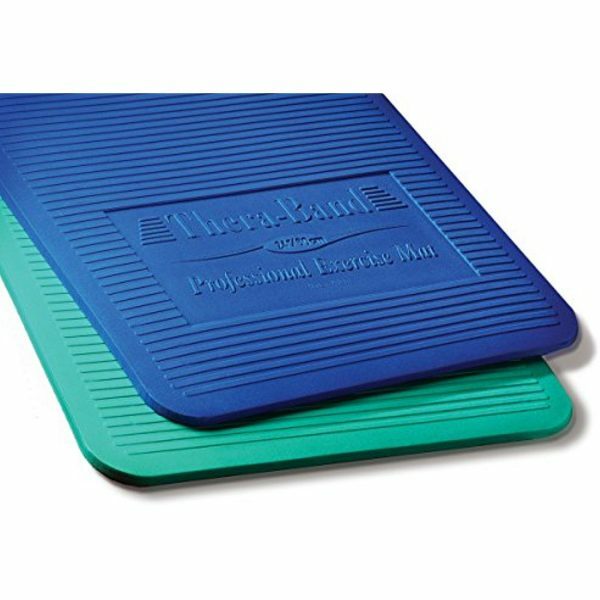 With two different thickness levels, the thicker mats provide more cushion for rehab applications and thinner mats providing utility for routine fitness work. 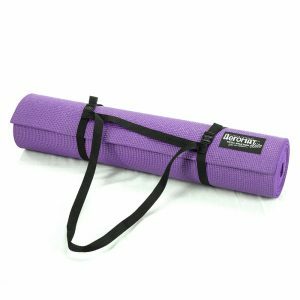 Two different widths are available with the widest mats well-suited for use with exercise balls. These mats are not designed for pool use. With two different thickness levels, the thicker mats provide more cushion for rehab applications and thinner mats providing utility for routine fitness work. 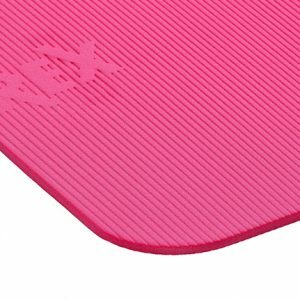 Two different widths are available in the most common user-Preferred™ sizes, with the widest mats well-suited for use with exercise balls. Each size is available in blue and green.